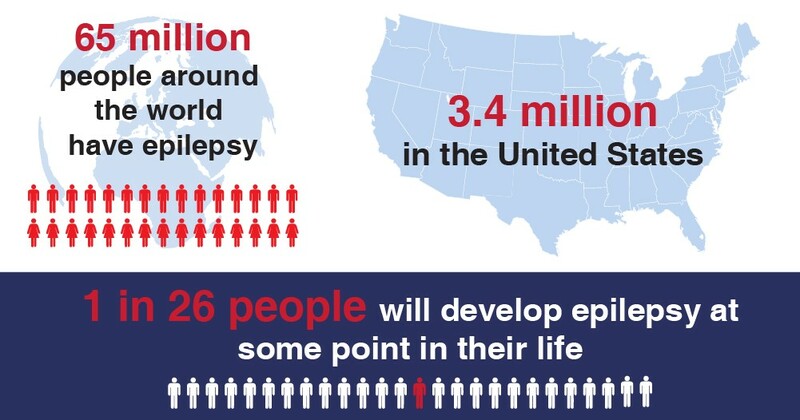 Approximately 65 million people around the world have epilepsy — about 3.4 million in the United States alone. Every year, the United States sees 150,000 new diagnoses of epilepsy. Service dogs are invaluable partners for individuals living with disabilities. They provide greater independence, freedom from fear, peace of mind and support — and with the passage of the Americans with Disabilities Act, individuals with disabilities have been given the right to have their service dogs with them in public spaces, buildings and facilities. CPL Seizure Alert Dogs give individuals greater independence, which improves their quality of life, by alerting up to an hour ahead of time that a seizure is imminent. This gives their partners time to take precautions such as lying down or leaving crowded environments. The alert dogs ability to warn their partner, ahead of time helps prevent serious injuries due to falls. What is a Seizure Alert Dog? A seizure alert dog is a type of service dog that is trained to find help or assist its partner during and/or after a seizure. Dogs chosen for this role will be able to naturally detect an oncoming seizure and are trained in a way to warn its partner of an oncoming seizure. *It’s important to note that a seizure alert dog is different than a seizure response dog. Many adults and children living with epilepsy admit that they often avoid certain everyday activities in fear of having a seizure in public. With epilepsy being one of the most common neurological disorders in the world, and about 75% of patients with epilepsy not knowing its root cause, the demand and popularity of seizure alert dogs have been steadily increasing. What can a seizure alert dog do? How Does A Seizure Alert Dog Warn Their Partner of an Oncoming Seizure? Seizure alert dogs tested for an innate ability to recognize an oncoming seizure. It’s speculated that this may be due to a scent their partner would give off prior to having a seizure. If the dog has the innate ability to detect a seizure, they’re encouraged through positive reinforcement to alert their human. Seizure alert dogs could alert their partner by pawing at them, or pacing. Canine Partners for life trains their alert dogs behaviors such as deeply staring at their partner, laying their head on their partner’s knee or nose-tapping their person to let them know a seizure may be coming. HOW ARE SEIZURE ALERT DOGS TRAINED? After two years of training in basic obedience and advanced service dog skills, Canine Partners for Life evaluates each dog for its potential to alert for seizures. Alerting to an impending seizure is an innate ability in some dogs. It is speculated that during a seizure, the human body gives off a different scent although it’s still unknown exactly how a dog can detect this. Once CPL knows a dog has the capability to alert to seizures, its alerting behaviors are encouraged and promoted through positive reinforcement such as click and treat training methods. After the dog is trained to help their partner, the pair will attend team training on CPL’s campus in Cochranville, PA for three more weeks of personalized training. The partnership between canine and human is one founded on trust, respect and love. As the relationship grows, the intuitive bond between the two strengthens into a powerful form of communication. Why Choose Canine Partners for Life? CPL Seizure Alert Dogs have a remarkably accurate record in alerting to seizures. In fact, CPL is a leader in the service dog industry in training and placing Seizure Alert Dogs. Very often from early in a placement, the CPL Seizure Alert Dog is already alerting its partner. But it often takes time for that communication to be fully understood and trusted. CAN I TAKE MY Seizure ALERT DOG INTO PUBLIC PLACES? All of CPL’s seizure alert dogs are certified service animals as outlined by the ADA’s requirements for service animals. Under this federal law, service dogs are permitted to accompany you in public, including places where dogs are not typically allowed. DOES CPL HAVE ALERT DOGS FOR CHILDREN with Seizures? CPL requires all applicants for seizure alert dogs to be at least 12 years or older and functioning at a 6th grade level or above. We have this requirement because seizure alert dogs require constant care and handling that is vital to the success of the team. WHAT DOG BREED IS USED FOR ALERT DOGS FOR Seizures? At CPL, we primarily train Labrador retrievers as alert dogs. Other breeds that we train at CPL include: golden retrievers, poodles, & labradoodles. WHERE DOES CPL GET THEIR ALERT DOGS? HOW LONG DOES THE TRAINING PROCESS TAKE FOR A Seizure ALERT DOG? CPL service dogs spend two years preparing for their working life. In these two years, our alert dogs are house-trained and taught basic obedience by volunteers and then receive a year of advanced training from our professional trainers. During the training process, the service dog is evaluated to ensure the dog is physically sound, and emotionally & temperamentally stable. These are important traits for working service dogs who are needed at this level of work.